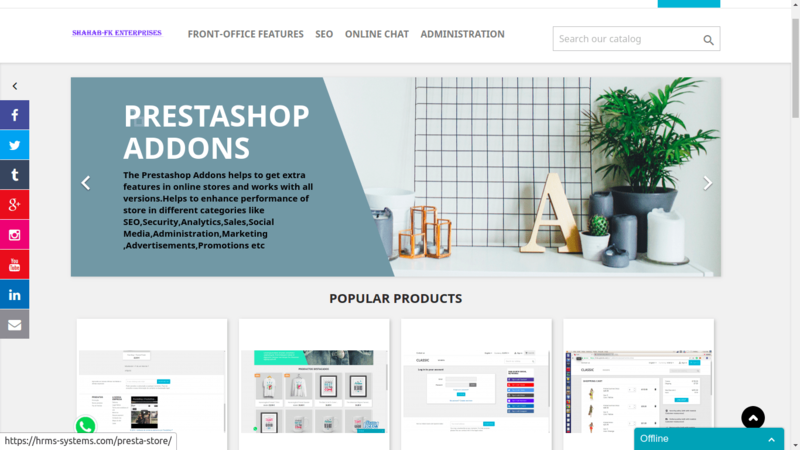 PrestaShop addons available at prestashop marketplace helps administrator to add links with images to showcase in left and right block with option to show block for selected category and language settings from back-office. 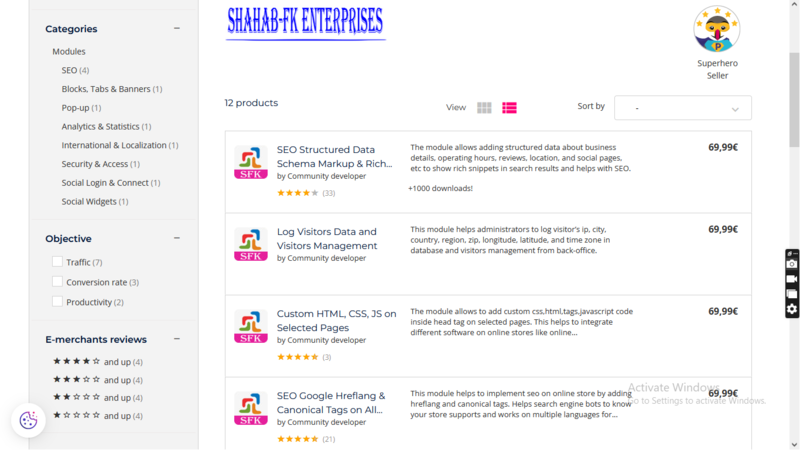 This module helps to add multiple links of social media pages of company and products links. The module helps in easy navigation to visitors. The navigation system acts like a road map to all the different areas and information contained within the website. If the navigation is clear, visitors will stay and have a good experience, which ultimately leads to more business. It helps visitors to use it and navigate around it to find all of the important information they are searching. Keeping it simple and obvious will keep your clients and visitors happy and coming back. – Â Easy Navigation for customer. -Â Links with images make it more recognizable and attractive. -Â Easily get customer attention. – This module expands your global reach quickly and easily. – It helps in SEO rankings. – Easy to use and configure. – It can be hook in left, right block positions. – Based on category left and right column hook will be shown. – Based on language setting from back-office links will be shown. Different links for different language store. – Support multiple browsers and operating systems. – Light weight and fast loading on web page. – Choose the way to open them (same tab, new tab and new window). – Exposure to potential customers, reach targeted audiences. -Â Customers can have links in their language. -Â Customers will find very easy read and navigate store in their language. – Customer’s trust your products & services. – Customer can add social media, store, products, offers, promotional, advertisement links in multiple languages.